Would you follow someone who has too much confidence or someone who has just the right amount? A proverbial fine line lies between confidence and arrogance and this article seeks to lay out the differences between the two. 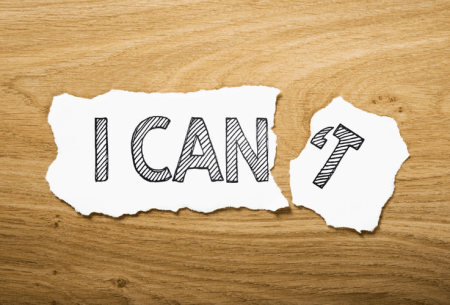 Confidence is a person’s internal self-assurance rooted in a general capacity to handle everyday situations and problems. People with a healthy sense of confidence depend on their skills and strengths to face life challenges. They typically possess a can-do attitude, affording them the courage try new things. A confident person is always prepared to take on changes. He takes action and doesn’t let fear or self-doubt get in the way. Taking action is a confident person’s way of learning new experiences from both successes and failures. He believes that continuous self-improvement will help him realize his ambitions and desires. Confidence also allows a person to be accepting of his faults; he has no problems with being vulnerable. A confident person does not need validation from others. 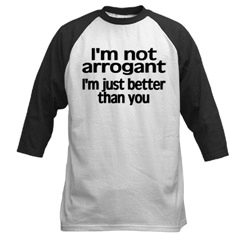 Arrogance is a personal perception in which an individual sees himself as better than anyone. An arrogant individual has an unhealthy view of self-importance and can put himself before others. Because of his mindset that he is a superior individual, he can easily step on others and may not think twice to disrespect anyone to his benefit. Arrogance makes a person demand appreciation in all the “great” things he has accomplished that were (he thinks) brought about by the great qualities he possesses. Behavioral psychologists point to an underlying reason which explains why a person can be arrogant. Arrogance is often used as a defense mechanism to protect one’s ego. The arrogant person behaves in such a way as to hide feelings of insecurity that may be heightened by a fear of rejection. Arrogant behavior is also a way of compensating for feelings of inadequacy. Behavioral psychologists believe that some people exhibit arrogance so that others won’t get a chance to look down on their weaknesses or imperfections. In contrast to what arrogant people may show, they actually seek validation from others. For some, it is a way to gain attention, especially if it has served its purpose in many instances. So what’s the difference between confidence and arrogance? Confidence is one’s perception of personal capabilities and general capacity to resolve everyday problems and situations. Arrogance, on the other hand, is an unhealthy self-perception of being superior to others. Confident individuals are comfortable in their own skin. They can depend on their capabilities to see them through most, if not all, situations they find themselves in. Arrogant people are insecure at their core; their arrogance often serving as shields for their fragile egos. They are overbearing, pushy, and aggressive towards others. Confident people have a good level of self-esteem and a positive regard for others. They can accept their own weaknesses and faults, whereas arrogant individuals usually hide their faults by exhibiting aggression.